The Living Food Diet is a popular option for vegetarians. The most nutritional components of food – enzymes, nutrients, and minerals – are often destroyed when the food is heated or cooked. A living diet, then, consists of raw, minimally processed foods that are rich in healthful nutrition. In many cases, foods that are actually sprouting or germinating are the best sources of enzymes, nutrients, and vitamins, and there are many delicious options to choose from. Fresh, raw fruit is a staple item of any living food diet. The fresher the fruit is, the better its nutritional benefits will be. Vegetable are another vital component of a living food diet. 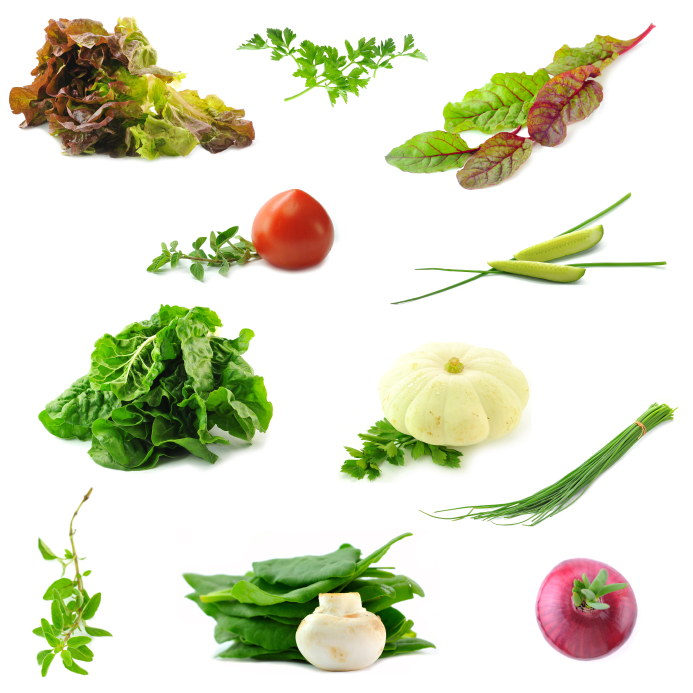 They can be eaten fresh and raw or processed into cold soups, juices, salads, and other dishes. A crisp, fresh salad can be a delicious meal. Opt for salad blends that use a variety of different leafy greens and brightly colored vegetables – onions, peppers, radishes, tomatoes, carrots, etc. – for the tastiest, most healthful entrees. The Living Food Diet is often called the raw diet because minimal processing is desired. Fresh, unprocessed milk can be a healthy part of this diet, though it is not suitable for a vegan diet plan. Fresh, budding sprouts are the epitome of living food and they are bursting with essential enzymes and vitamins. Alfalfa sprouts and bean sprouts are the most popular options. You’ll feel more alive with a living food diet that encompasses different leafy greens. Try a range of different types of lettuce, cabbage, chard, and collard greens, and season your meals with leafy herbs such as rosemary, basil, and thyme. Raw corn is surprisingly sweet, crisp, and juicy. Enjoy it directly from the cob or remove the kernels to use in soups, salads, or other dishes. While most steeped teas are heated and could not be considered part of a living food diet, tea that is steeped naturally in the sun is a refreshing and rejuvenating option. A wide variety of nuts are great living foods to include in your diet. Brazil nuts, almonds, hazelnuts, cashews, and peanuts are all suitable. For the most nutritional benefits, soak the nuts in purified water for a few hours or overnight before eating to activate their germination cycles and increase their enzyme activity. Coconuts are perfect for a living or raw food diet. Not only is fresh coconut pleasantly crisp and crunchy, but the coconut milk can be refreshing and tasty. At first, dried fruits may seem contrary to the concept of living food, but if the fruits are properly dehydrated they will retain many of their nutritional qualities. Papaya, bananas, apples, strawberries, pineapple, and apricots can all be easily dried. Purified water is essential for a healthy diet. Drink at least eight glasses of water each day, or even more if you have a very active lifestyle or exercise vigorously. While dried or dehydrated meat is not suitable for a vegetarian diet, it can be considered part of a living food diet if processed without heat that would destroy the best nutritional properties of the meat. Many vegetarians who follow a living food diet plan grow their own food, not only for the pleasure of gardening but also to avoid pesticides and other chemicals that are applied to commercially grown produce. Home grown produce is especially important for a living food menu because it can be picked just moments before the meal.